Plan O at the Pierce has the luxury, livability, and modern features you’ve been looking for. This expansive 2-bedroom, 2 bath residence is 1,114 sq. ft. The main living space has clean lines and an open floor plan design. Large windows let in lots of natural light for a relaxed and welcoming feel. The gourmet kitchen features an island, designer finishes & fixtures and modern appliances. 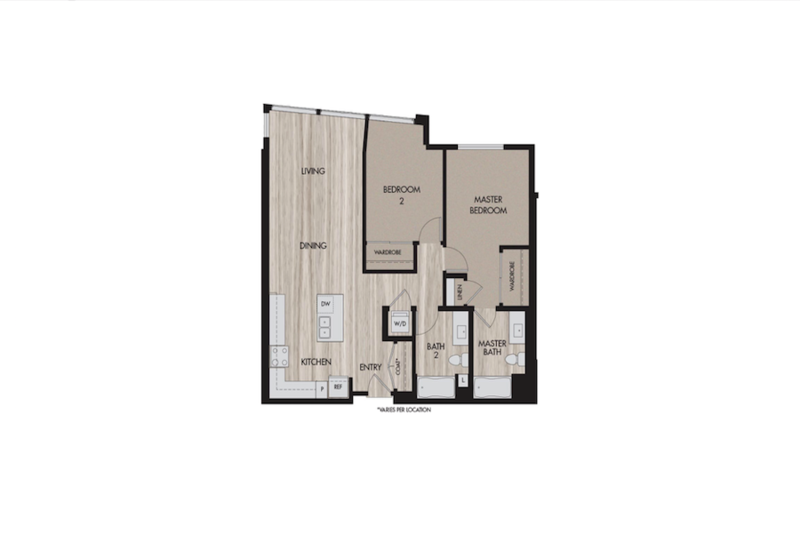 Explore this floor plan now. Enjoy the San Jose lifestyle and Silicon Valley possibilities to the fullest at The Pierce now.